High-efficiency pod motor (fixed position), 20-25 HP equivalent. Please note that the Cruise comes with V15/P10k propeller as standard. A folding propeller (1945-00) is available as an accessory. Fitted inconspicuously below water, the Cruise 10.0 pod saves space and is both lightweight and powerful. 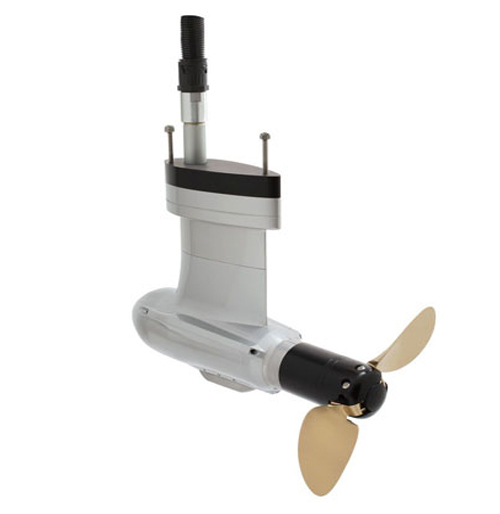 The pod drive delivers powerful thrust equivalent to 20 HP, and, with an optional folding propeller, is the long-awaited choice of motor for many sailboat owners. We recommend the Cruise 10.0 FP for motorboats and sailboats up to to 10 tons.